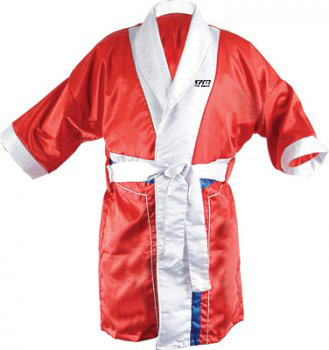 <h3>Boxing Gown</h3> Made of 100% polyester bright. Colors: Red, Blue &amp; Yellow. Size: Standard.